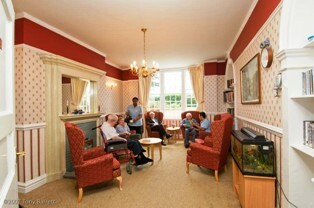 All communal areas have been elegantly decorated and furnished to a high standard, creating a homely, comfortable and welcoming ambience for all our residents and visitors to enjoy. 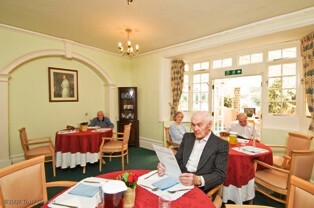 Nurse call systems are also installed in all communal areas around the home, again ensuring that a member of staff is available to provide assistance whenever required, day or night. 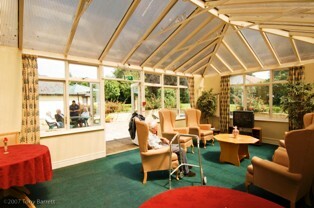 The elegant and tastefully decorated lounges are ideal places for residents to welcome their visitors as well as our light and airy conservatories, which lead onto our secluded gardens. We also enjoy the benefit of having a fully equipped sensory room, which provides gentle relaxation and stimulation for our residents. 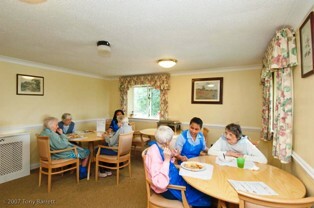 The secluded garden provides peaceful and relaxing surroundings during the warmer months, and again is an excellent place for our residents to welcome their visitors.